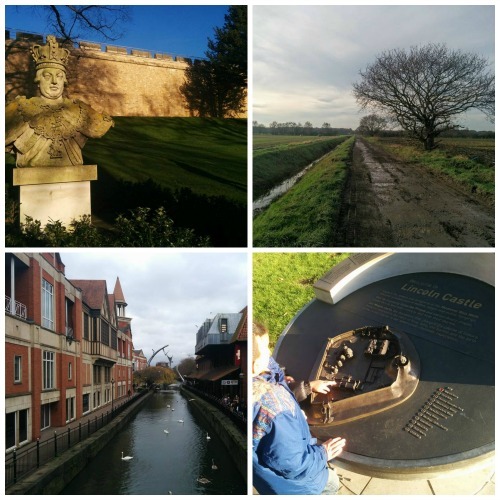 My family and I spent our Christmas in Lincolnshire, this year. Hubby found the perfect place for us and booked it a year in advance. It was worth it. Roe Deer Lodge, at the Lincoln Retreat became our home away from home for one week. We had a remarkable week of house hunting, reconnecting as a family and as a married couple while enjoying the amazing Lincolnshire scenery. By the end of our house hunting, we were 90% sure we would stay in Surrey. Surrey life gives us the best of both worlds. We are close to London but not in the thick of the maddening crowd. Additionally, there is a balance between greenery and concrete with many free public play areas for children. It was a tough choice because Lincolnshire is beautiful. Everyone we interacted with were friendly and courteous. The houses we viewed were spacious, well laid out and on a quiet street. The temptation of living mortgage free was great. However, while there are wide open green spaces, we didn’t see was many free public play areas for children. During our drive around we spotted one situated in a new build area but it was quite small. Not to mention, we’d be isolated and probably would only see family and friends once per year IF we were lucky. As an expat networks are important to me but it takes time to build trust and friendships, especially as a parent. 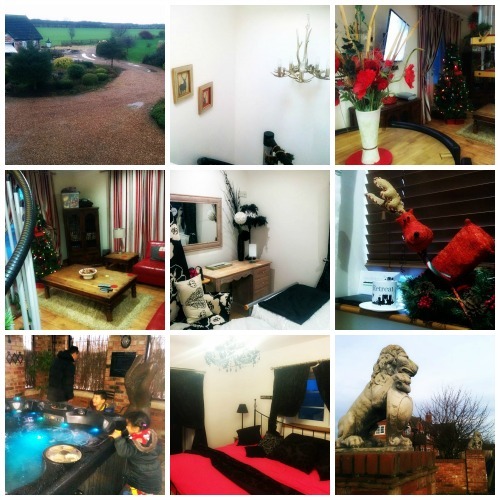 Nonetheless, emotional tug of war aside we had a wonderful Christmas at Roe Deer Lodge, Lincoln Retreat. The owners really thought of everything. We arrived put our bags down and saw that the lodge was already decorated for Christmas. They paid attention to every little detail: lights on the tree, wreaths and garlands beautifully festive with a deer motif. The bed in the master bedroom was enormous! One night we all slept together and comfortably at that. On Boxing Day we tried the communal hot tub on the compound. It was soothing way to wind down the festivities.Angelo and Valentina slept well that night. If you know us, you’d know we popped into town and hit the sales too. We did the trek up and down the Steep Hill. Along the walk are the most delightful independent cafes, boutiques and book shops. I have long since lost my knack for walking up steep hills. It felts as though my backpack was dragging me backwards. I didn’t envy Hubby doing it with Valentina perched on his neck. The kids enjoyed the walk along the grounds of Lincoln Castle. We also visited a soft play area and local nature park. 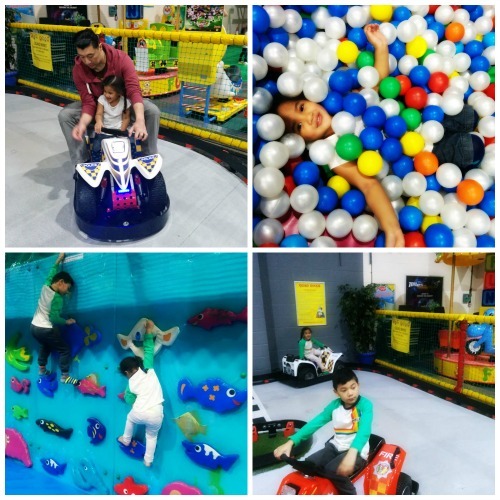 On Sunday we had an exhilarating evening at the area Fun Farm. I really liked the establishment because it was clean, tidy, staff were friendly and the children played nicely. Hubby and I had moments in time to sit and chat while the Angelo and Valentina played. Before leaving we had a game of Kids Vs Grownups with laser tag. Hubby and I had so much fun! On the Monday our last full day in Lincoln we visited Whisby Nature Park. It was my first time bird-watching from a hide. The kids enjoyed looking at the ducks and swans. Walking along the lake and following the marked trails was very therapeutic. We took the Grebe Walk, around the lake to spot the water birds. Then Angelo and I did the Thorpe Walk, which had a panoramic view across Whisby’s largest lake. 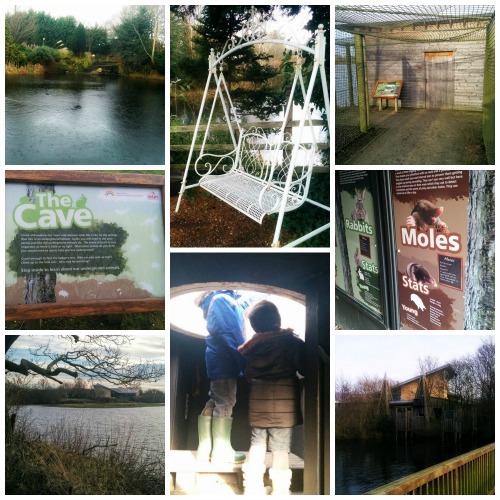 We only had a limited time but there are many things to do at the nature reserve whatever the season. Now we are back at the homestead happy to be home but missing Lincoln. I hope to visit again in 2016. There is a lot of new home building going on, at affordable prices. Judging from the twitter feed Lincoln has had a good year. I look forward to seeing what happens in 2016. I would certainly recommend Lincoln as a family staycation destination or for visitors from overseas. Lincoln dates back to the Romans. Lincoln City is a cathedral town. With its nature parks, an excellent high street, university and the cathedral, there’s something everyone in Lincoln.